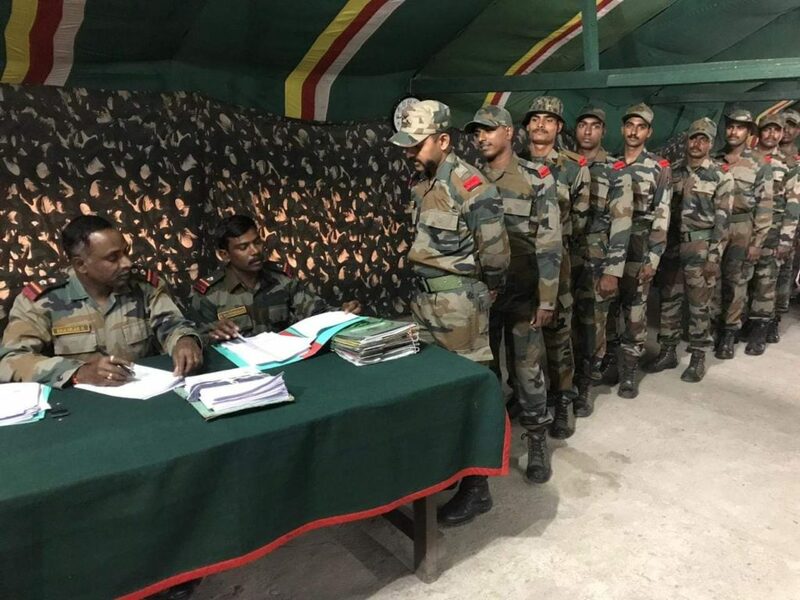 Based on guidelines issued by Election Commission of India and the Service HQs and utilizing the elaborate infrastructure established by the latter, the serving personnel of #IndianArmy deployed in Eastern Arunachal Pradesh, Upper Assam, Nagaland, Manipur, Mizoram and Tripura commenced exercising their voting rights for the impending Lok Sabha election 2019. As a run up to the casting of votes, the serving personnel were first registered as service voters online and Electronically Transmitted Postal Ballot (ETBP) generated for each service voter to exercise his voting right. After months of preparation which involved overcoming digital connectivity challenges in the far-flung areas and conducting an exhaustive awareness campaign for the soldiers, the casting of votes has now begun after requisite infrastructure was put in place even at the lowest level to conduct the process smoothly under supervision of a board of officers. Service voters deployed in remote localities like Rayang, Hayuliang, Kibithu, and towns like Dimapur, Leimakhong and Agartala enthusiastically participated in this vital democratic process to choose their own representatives. Voting for other phases will also be carried out in similar manner once ETBPs are uploaded by the Election Commission of India.